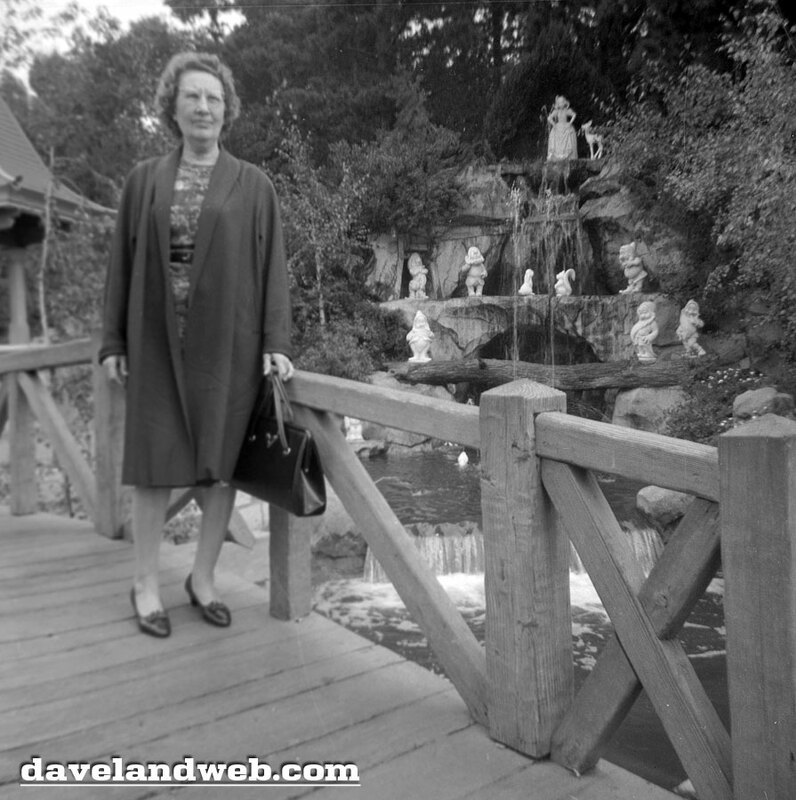 For those of you that keep track of what was at Disneyland back in the day and what's still left, today's trio of black and white undated 1960's views gives us about a 33% retention rate. Only one of the three images shown can be recreated today. 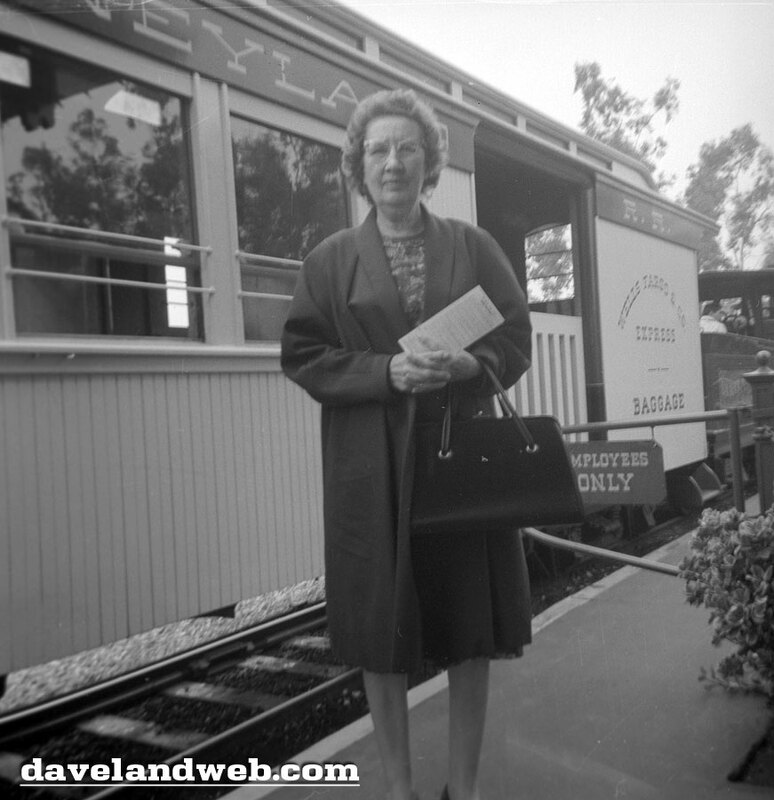 The first shot of the Disneyland Railroad at the Main Street Station shows our gal Myrtle (that's my name for her - feel free to pick your own) posing in front of the combine car from the original set of passenger cars at the park. Although you can duplicate the angle and scenery, you'll get a big fat goose egg if you attempt to wait for the combine car to show up. The combine and its sisters "left the building" many moons ago. 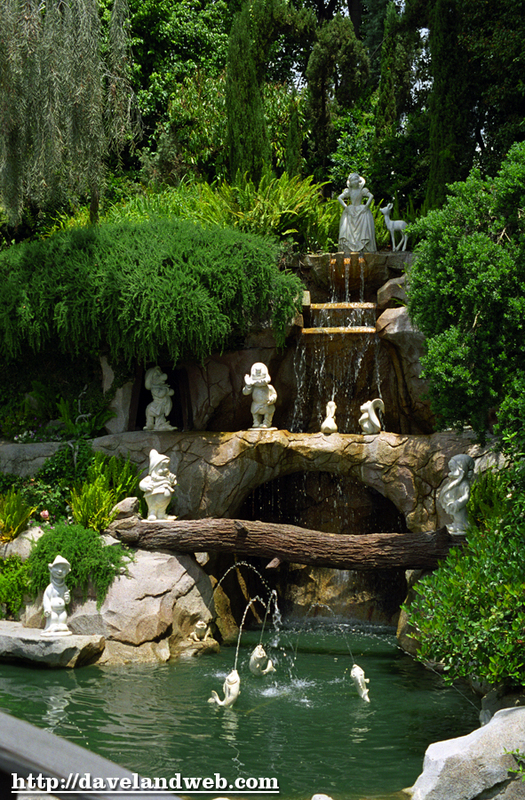 Here's where you can still score; Myrtle is trying hard to think of a wish as she concentrates and looks out into the distance near the Snow White Wishing Well, located just outside the Castle. Today, the scene is almost the same, other than the bridge being a little cheaper looking; are the hearts really necessary? Myrtle looks like she's ready to steer this ship to Neverland. 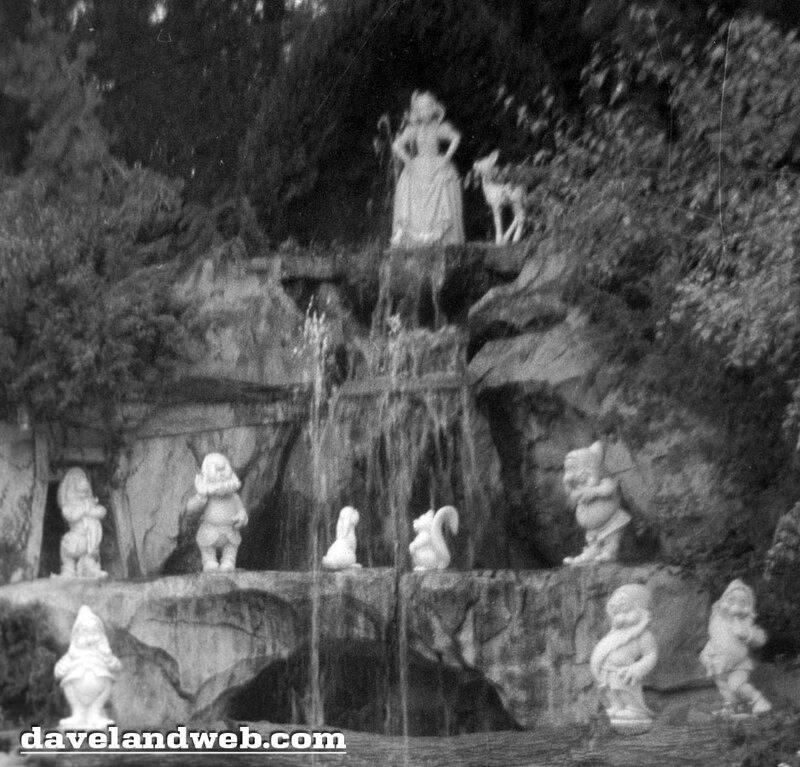 Unfortunately, that's exactly where it went back in 1983: Never-to-be-seen-again Land, when it was destroyed during the Fantasyland remodel. To assist with your upcoming Holiday entertaining, how about trying some of these mouth-watering southern recipes put together by the food stylist for "The Help," Lee Ann Flemming? Just click and download here. "The Help" is being released on Blu-ray & DVD on December 6. Follow my Daveland updates on Twitter. 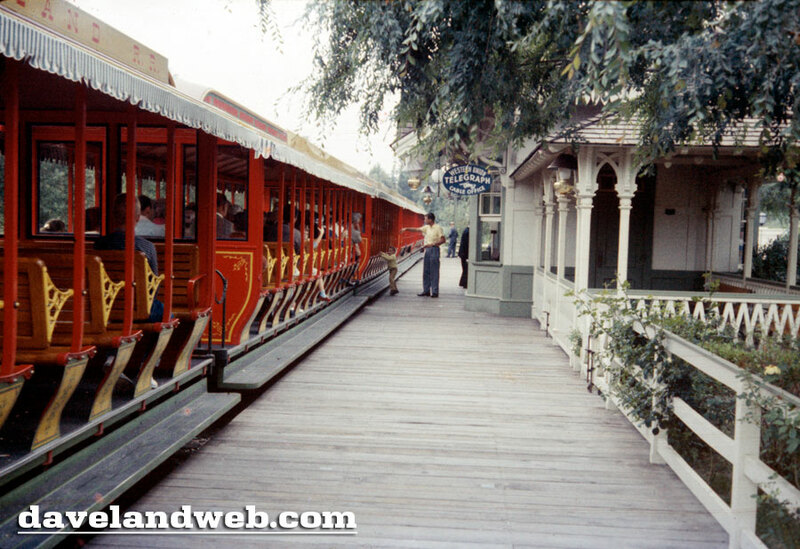 See more vintage & current Disneyland photos on my Disneyland web pages. All of you young whippersnappers...the ones who think you know everything about Disneyland...I'll bet these images are a strange sight to you. 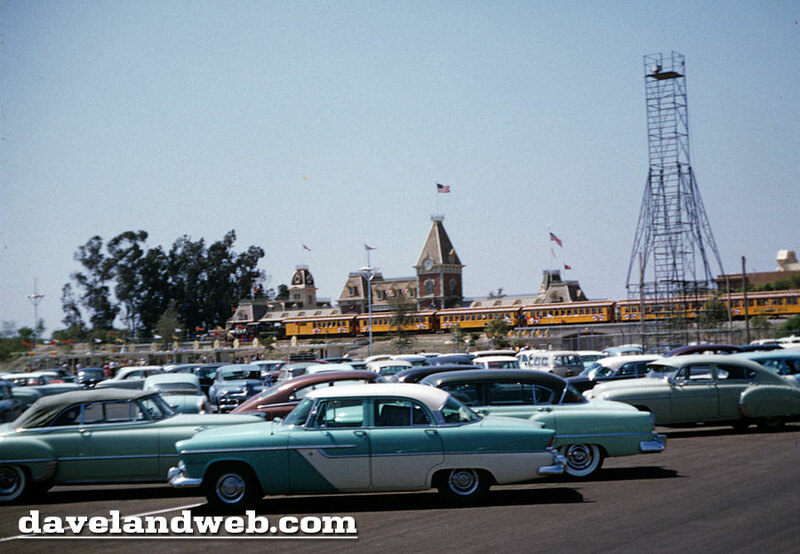 This first shot, taken during the initial month of Disneyland's opening back in 1955, shows a parking lot. Not a multi-tiered concrete eyesore, but a flat paved lot full of yummy vintage autos. If you were standing in this spot today, you'd be somewhere near the Hollywood Studio section of Disney California Adventure, or maybe just outside the gate near the shuttle/tram area. 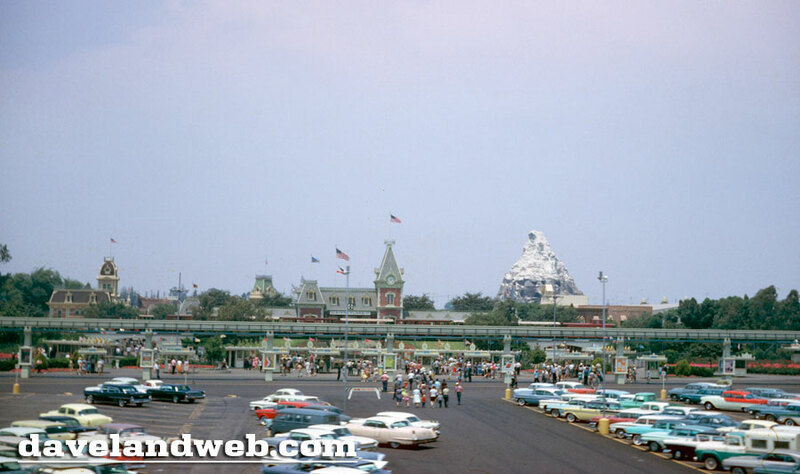 This next shot is from the 1960's; I would happily take any of those retro cars! This photo was taken from the approximate location of the DCA entrance turnstiles, recently retooled to resemble the Pan Pacific Auditorium. 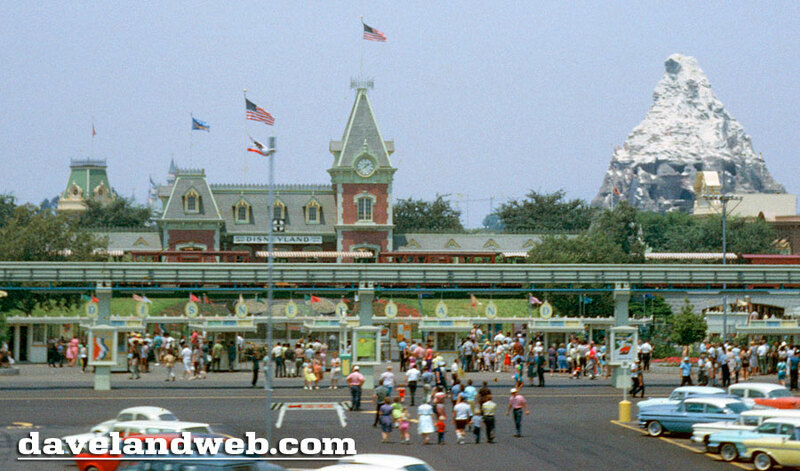 Jumping ahead to August 1977, the parking lot looks amazingly empty; must be early morning. This last photo is one I shot myself out the window of my car (I think I still had one hand on the steering wheel!) during an October 1995 visit. This was probably the last time I parked in this lot and was able to walk right up to the gate. Marion Holmes DeFore, wife of late actor Don DeFore (1913-1993), died November 17, 2011 at age of 93 in Santa Monica, California. Born Marion Holm in Chicago, Illinois in 1918, Marion began a singing career at age 17 while in her junior year at Kelvin Park High School by winning a WJJD Radio singing contest. She competed against more than 600 girls and won the opportunity to be the female vocalist with Frank Master's Orchestra in Chicago. She was also the songstress for Jule Styne, Maurie Sherman and the Buddy Rodger's band, with drummer Gene Krupa. Marion recorded several songs with the Henry Busse Orchestra, toured the Mid-West and sang at the famous Coconut Grove in the Ambassador Hotel in Los Angeles. Marion joined Chicago-based Art Kassel and his Kassel's-in-the-Air, recording and making famous, "I'm A Little Tea Pot" and performed live broadcasts on WGN radio every Saturday night from the Walnut Room in the Bismarck Hotel, where she met Don while he was in Chicago starring in the "Male Animal". 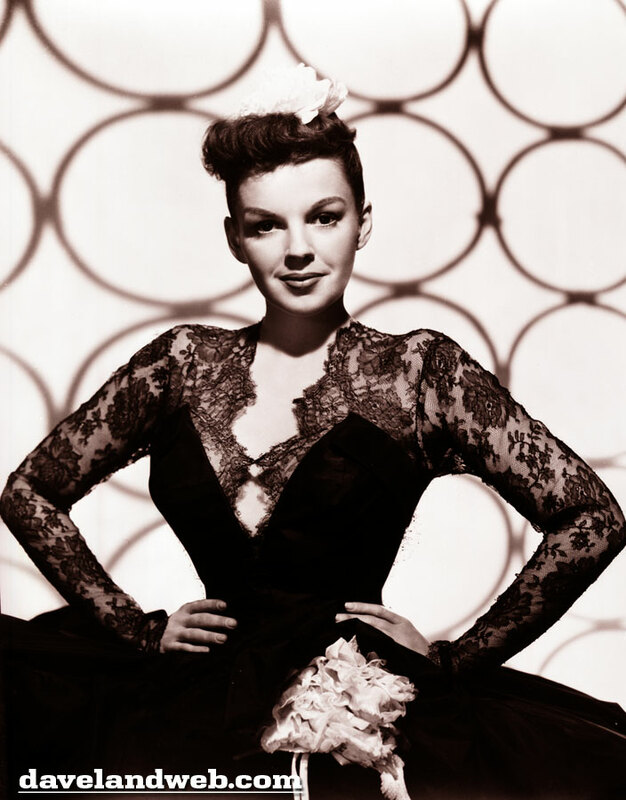 They married in Los Angeles on Valentine's Day, 1942 with Marion's matron of honor, Judy Garland. Although Marion gave up her singing career, her life in the celebrity spotlight increased as husband Don acted in more than 20 feature films in the '40s and '50s. Don DeFore is best remembered for his television roles (for which he earned a Star on Hollywood Boulevard) as Ozzie and Harriet's next-door-neighbor "Thorny" and as "Mr. B" in the 1960s TV sitcom "Hazel" co-starring Shirley Booth. 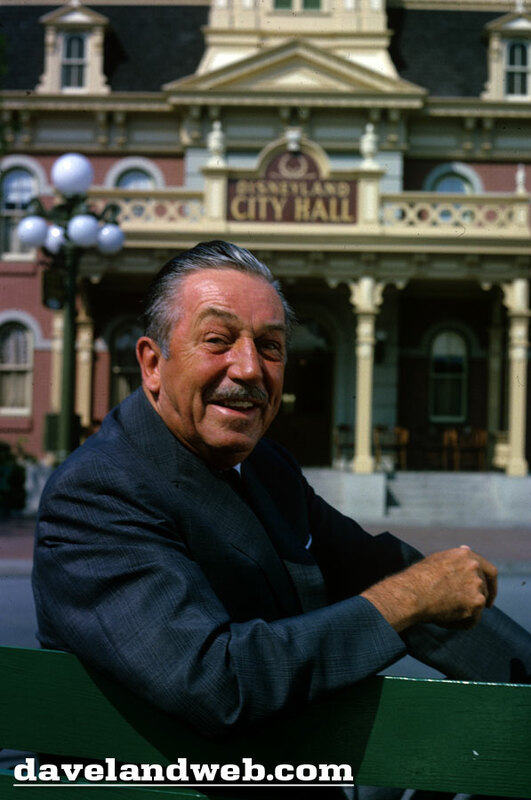 He also served as President of the Television Academy 1954-55. 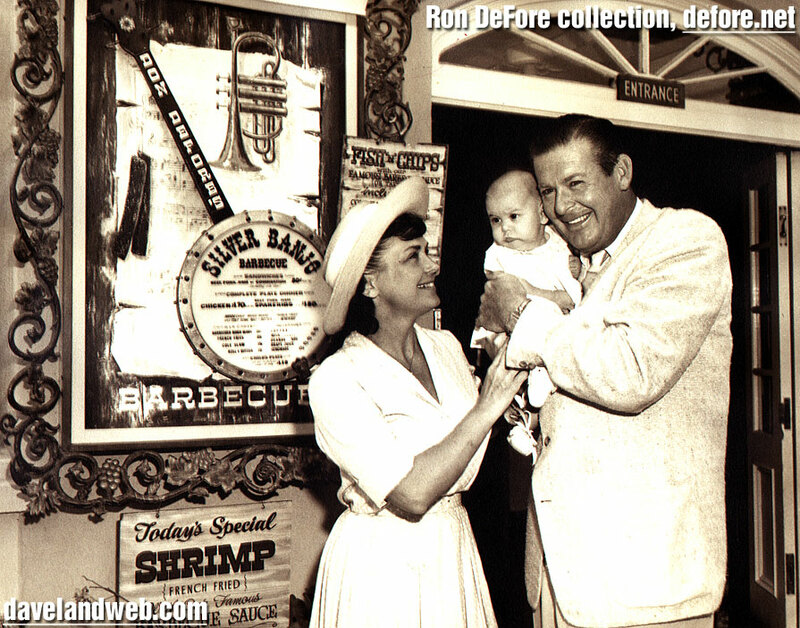 Marion and Don owned Don DeFore's Silver Banjo Barbecue Restaurant in Frontierland, Disneyland from '57 to '62, managed by Don's beloved brother Verne. Marion was a devoted wife for 52 years and mother of 5 children who grew up in Brentwood, Los Angeles. 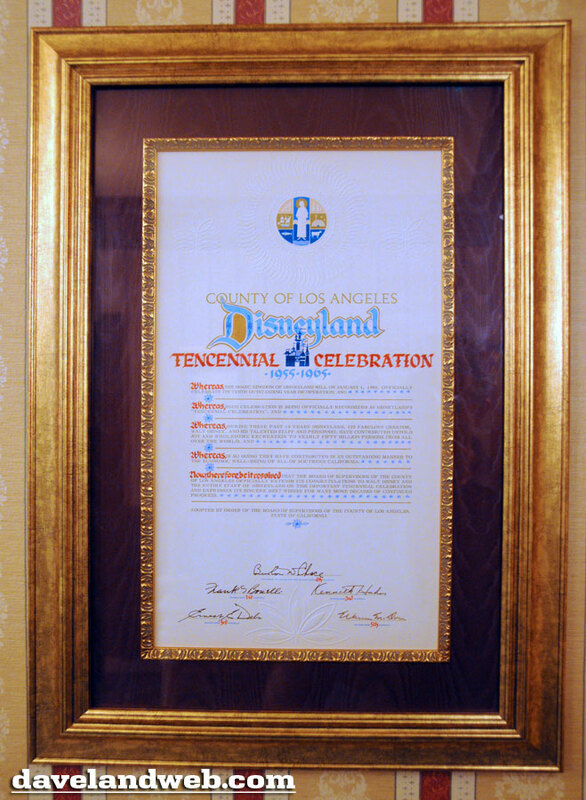 She served on various committees at the First Methodist Church in Santa Monica and as a Board Member of the L. A. Chapter of the Freedom Foundation in the 50's. Marion was a Board member of the ARCS Foundation (Achievement Rewards for College Scientists), President of the L. A. Chapter from 1960-62, and National Chapter President from 1965-67. Marion had an illustrious carrier as a residential real estate agent for over 30 years beginning in the early 70's. Many agents in Brentwood have fond memories working with her, enjoying her charm, warmth and friendly persona. Marion is survived by her five children, Penny Hill, David, Dawn Burdine, Ron, and Autumn Moore, and 12 grandchildren and 15 great-grandchildren. In lieu of flowers please send a financial gift to BelAir Presbyterian Church (16221 Mulholland Drive, Los Angeles, CA 90049) in care of Marion Holmes DeFore Memorial. All contributions will go towards programs that assist inner city youth. 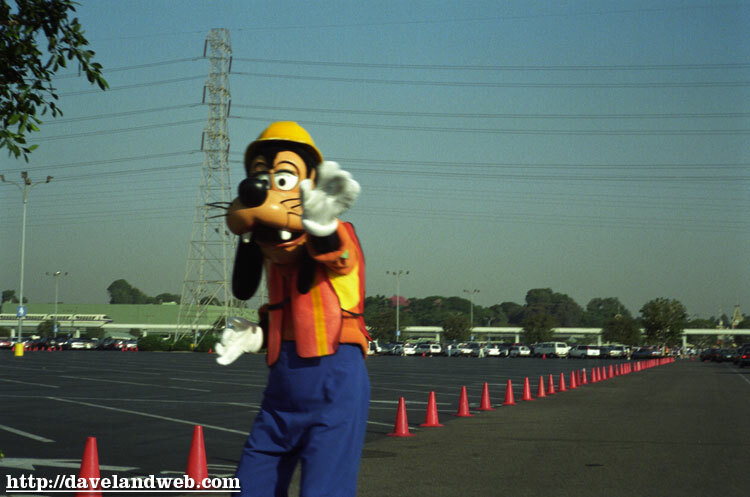 See more vintage & current Disneyland Parking Lot photos on my Disneyland Hotel & Parking Lot web page. In most towns of yesteryear, The City Hall and Town Square are the heart of those communities. At Disneyland, the same holds true. First time guests and others who need information know that they can stop by City Hall and get most of their questions answered. 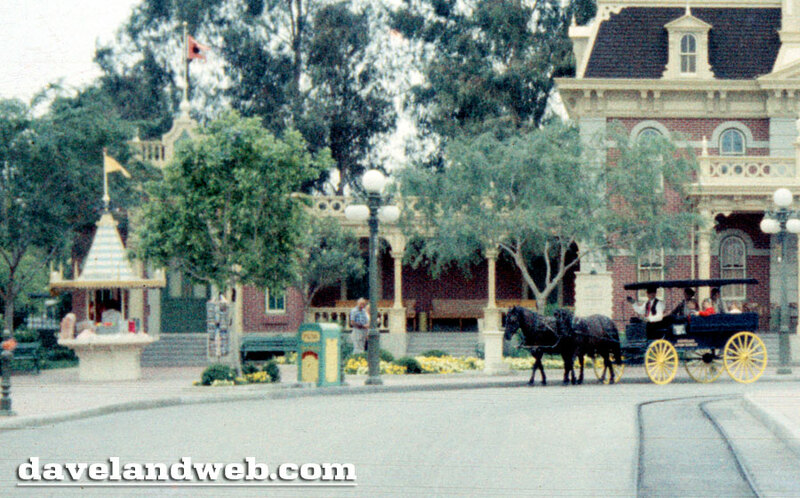 This May 1960 shot of City Hall also includes a zoom-in shot of the Souvenir/Info Kiosk (long gone) and a horse-drawn carriage (also long gone from Town Square). 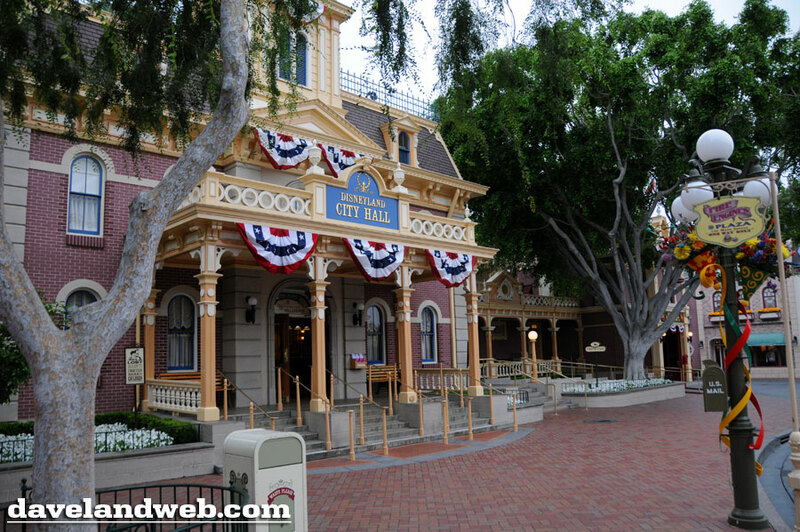 Today, City Hall is still a vibrant place to get a birthday message, get information, and talk to a welcoming cast member to help make your visit to Disneyland a little brighter. Follow my Daveland updates on Twitter. 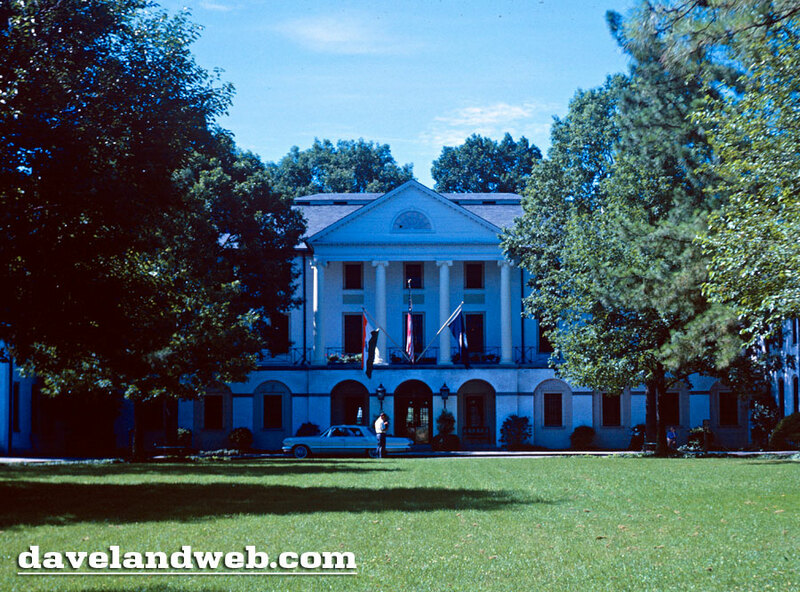 See more vintage & current City Hall photos on my City Hall web page. More Disneyland Paris Holiday season stuff as Jenny has submitted today's DLP Column, "Disney’s Enchanted Christmas at Disneyland Paris." 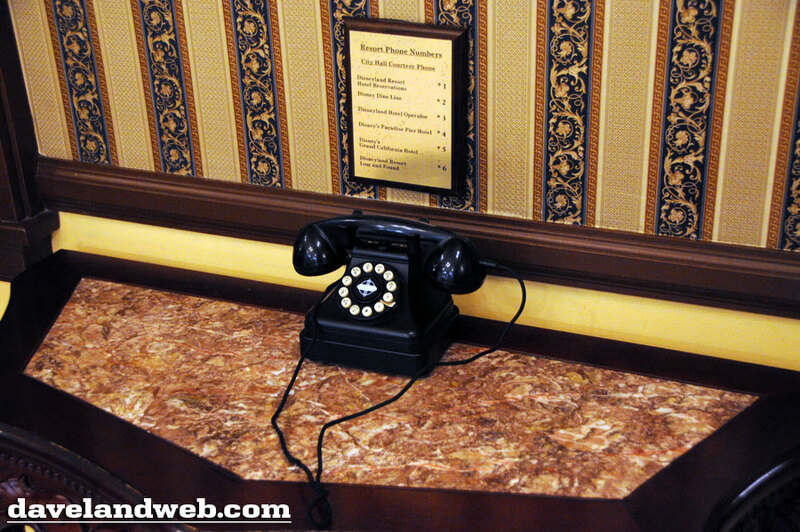 The first photo for today's post is by David Jafra. 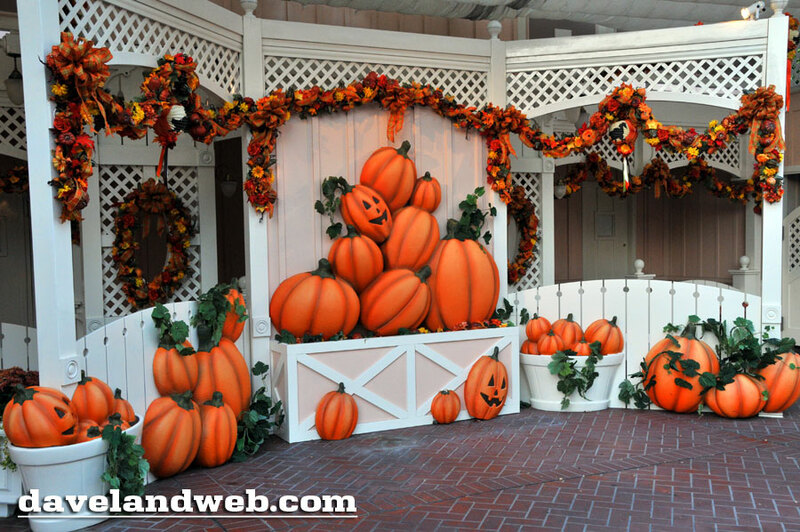 No one celebrates the holiday season quite like Disney and with a host of breath-taking shows, parades and decorations; it’s a great time to visit Disneyland Paris. Disney’s Enchanted Christmas, taking place from 7 November 2011-8 January 2012, is full of festive magic and is the perfect way to get into the holiday spirit. 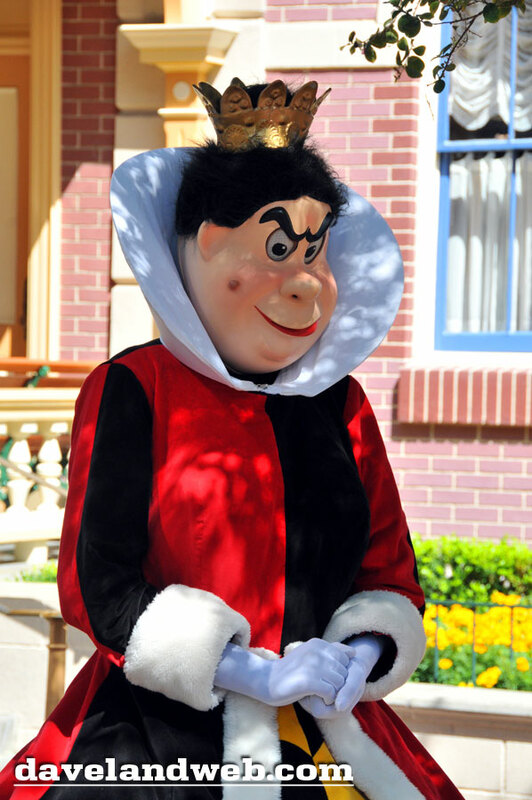 Disney’s Once Upon A Dream parade has been given a special ‘Dreams of Christmas’ add on for the holiday period. The usual spectacular floats still feature, including the Dreams of Friendship float with Winnie the Pooh and Toy Story and the Dreams of Adventure float with The Lion King and The Jungle Book. This special Christmas add on however, features Santa Claus being pulled along by reindeers in his sleigh alongside dancing elves and toy soldiers. 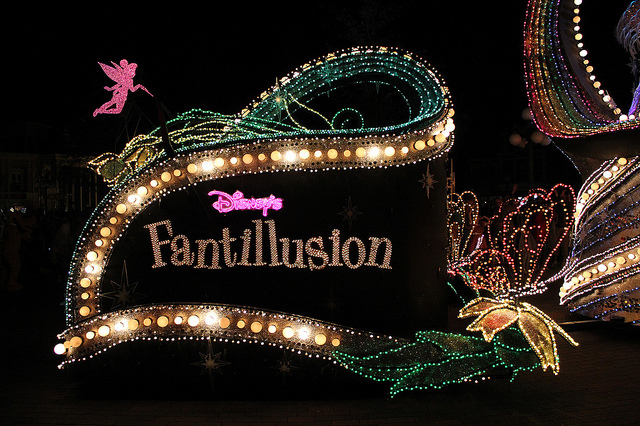 Lighting up the parade route during the festive period at Eurodisney Paris is the incredible Fantillusion parade, which takes place daily. Riding from Fantasyland to Main Street USA are 12 incredible floats in this spellbinding night time parade with 160 performers covered in dazzling festive lights. At the end of each day, Mickey Mouse and friends take part in the famous Tree Lighting Ceremony in Town Square in Main Street USA, where they switch on the giant Christmas tree’s lights. Standing at 24 metres high, the tree weighs 24 tonnes and is decorated with around 600 Christmas baubles. 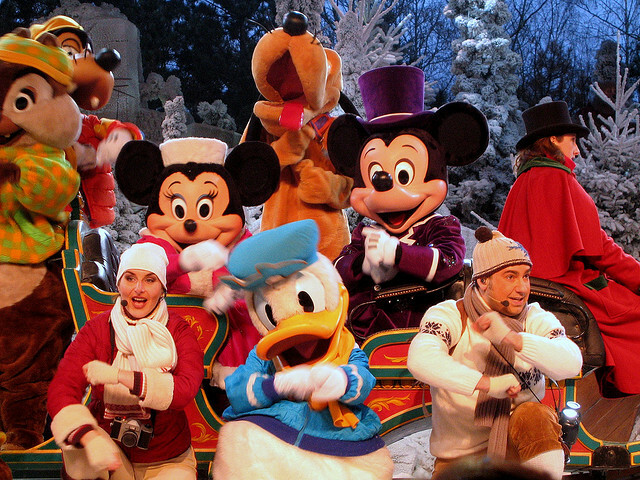 With ice skating, winter music and your favourite characters wrapped up in scarfs and hats, Mickey’s Winter Wonderland - the longest running stage show at Disneyland Paris - takes place at the Chaparral Theater in Frontierland. It’s the only Disney theme park show in the world that uses a real ice rink and live horses on stage, which pull the sleigh for the finale. With Belle’s Christmas Village, Princess Aurora’s Christmas Wish and the chance to meet Santa Goofy, there’s so much to do here, which makes Disney’s Enchanted Christmas a fantastic time to visit Disneyland Paris. 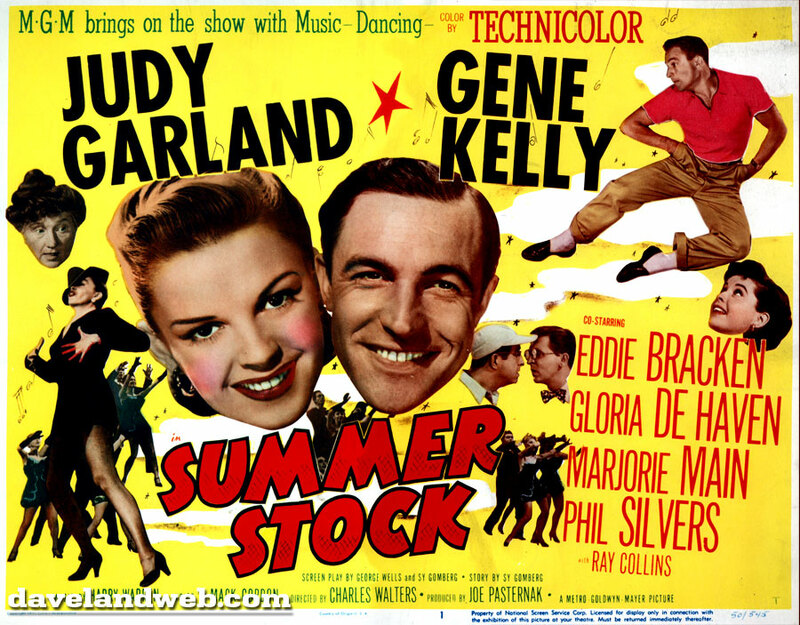 Judy Garland's unintentional final film at MGM was "Summer Stock." Released in 1950, this light and frothy barnyard musical was definitely a step back as far as prestige goes for MGM's #1 musical star. Designed as a movie that could be easily filmed without taxing its troubled star too much, great pains were taken to make sure that the experience would be as pleasant as possible. Mickey Rooney was originally slated to be the romantic interest, but his star had already begun to descend while Judy's was still on the upswing, so Gene Kelly was hired instead. Fighting an addiction to the pills she had grown accustomed to taking to help her lose weight, sleep, and then wakeup, Judy's body was physically exhausted. Throw in a troubled marriage, and the poor girl should have been on vacation, not filming a movie with strenuous dance routines. 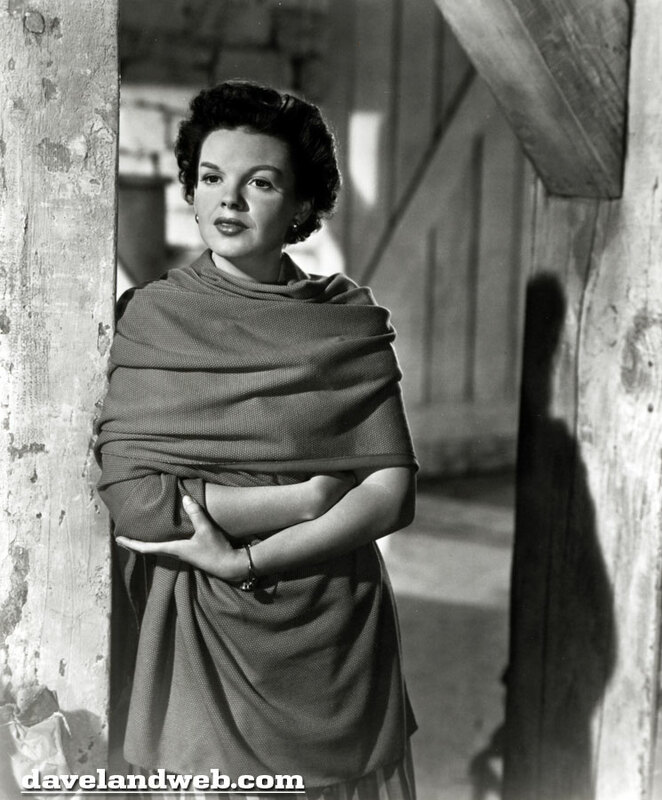 Although the finished film is wonderful and still a treat to watch, Judy's fluctuating health is noticeable as her weight goes through a number of changes from scene to scene. At some points, she has some of the healthy weight that she'd picked up while resting and nursing herself back to normal. In the "Get Happy" number, filmed as an afterthought when the rest of the movie was already in the can, Judy is extremely trim, making audiences wonder if this scene had been recycled from an earlier movie. 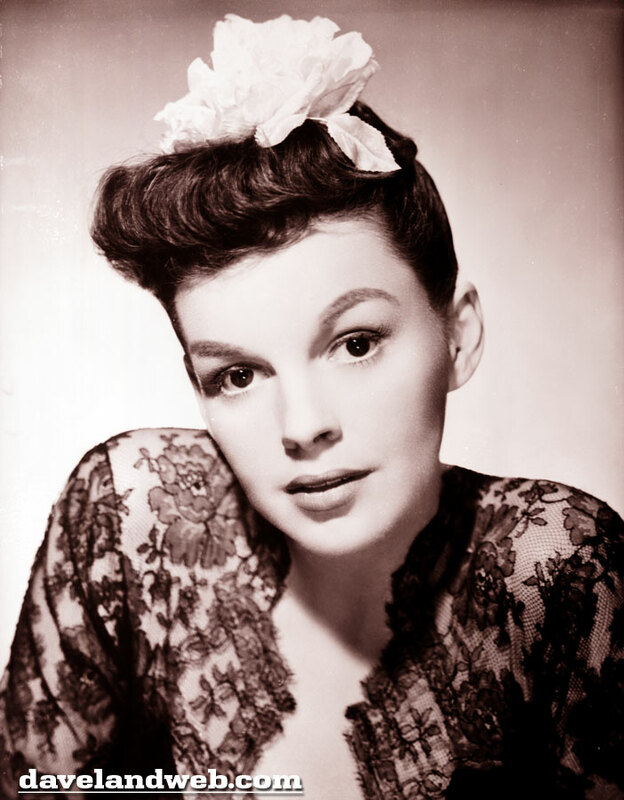 Judy's final publicity still sitting with the studio produced these two images; although looking slim and trim, she also seems to have lost a bit of the sparkle that she was known for. Filming back-to-back blockbuster musicals had taken its toll, and Judy was ready for a vacation. Instead of a vacation, Judy was rushed into replacing a pregnant June Allyson in "Royal Wedding." Finally, her body gave out. Worn to exhaustion, the studio put her on suspension and in the end, depending upon who you believe, she was either fired or let out of her contract at her own request. Her leaving of the studio may have been sad, but boy what an exit. The "Get Happy" number from "Summer Stock" is about as good as they get. 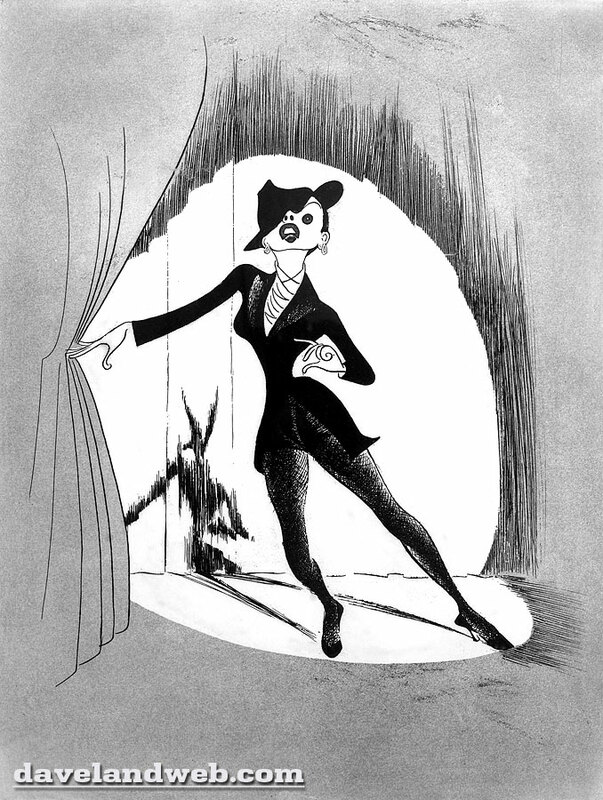 Here is an Al Hirschfeld caricature of Judy wearing the tuxedo jacket ensemble that she sported in that scene. Follow my Daveland updates on Twitter. 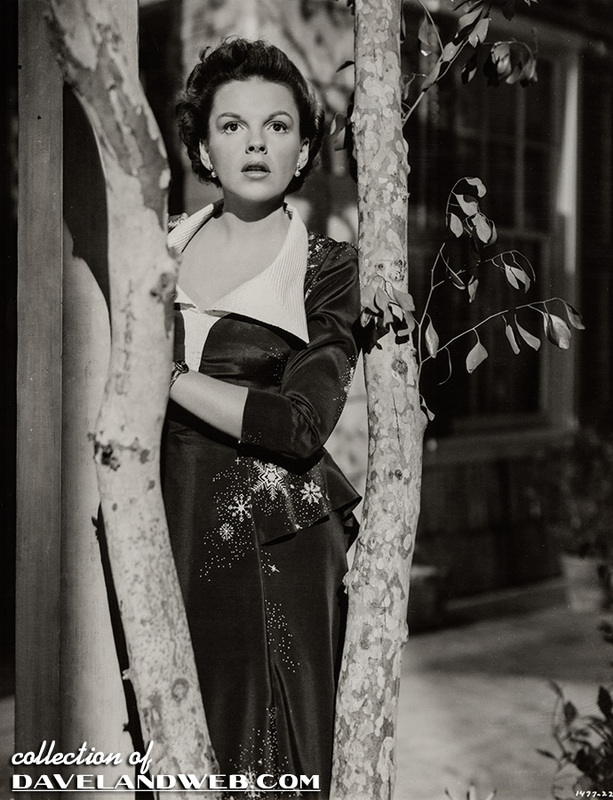 See more Judy Garland photos on my Judy Garland web page. At first glance, this photo may seem a bit boring. Once I zoomed in to look at the details, I realized I needed to add this June 1957 image to my collection. 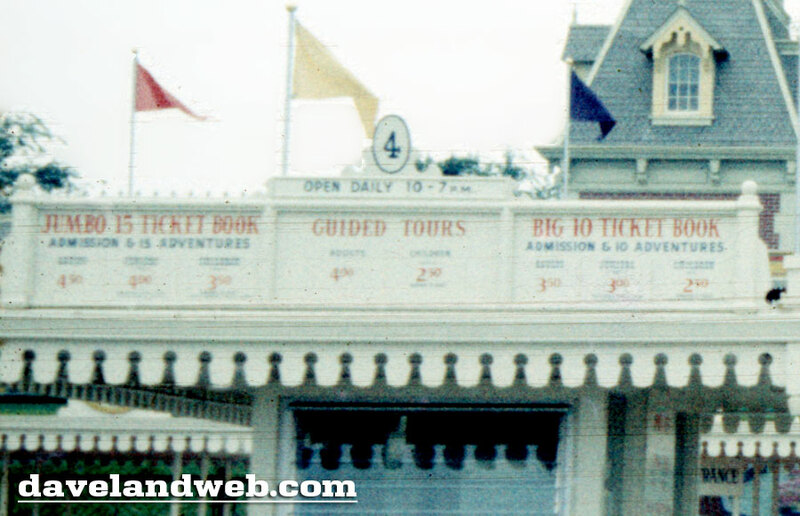 I have yet to get a decent shot of the Welch's Grape Juice stand mural; however, at least this photo shows the entrance, not to mention a nice view of a cast member touching up the paint on a Fantasyland lightpost. I'm not sure who took this photo, but they either had special early morning access or ran into Fantasyland first thing before the kiddies took over the attractions. 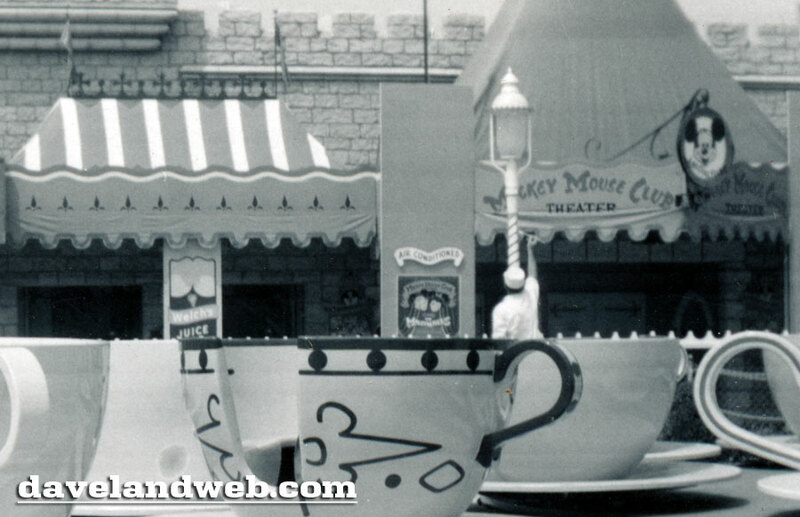 In 1983, Pinocchio's Daring Adventure took over the location seen here which bears the signage of the Mickey Mouse Club Theater and the Teacups were moved closer to the Alice attraction. In their place, King Arthur's Carrousel was moved. You got this all straight now? Wow...that's a lot of moving! Follow my Daveland updates on Twitter. 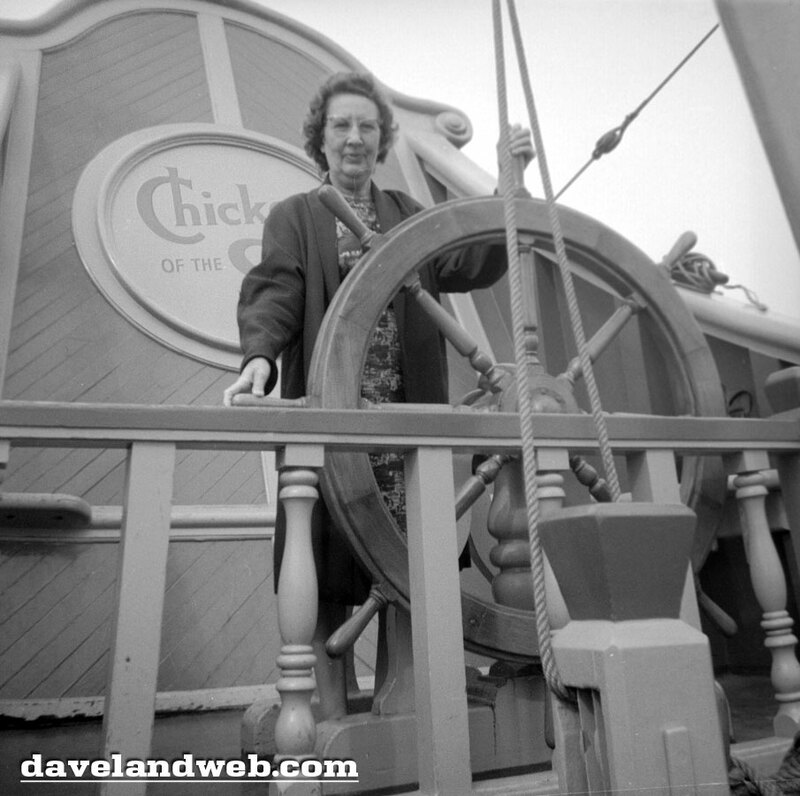 See more vintage & current Mad Tea Party photos on my Mad Tea Party web page. 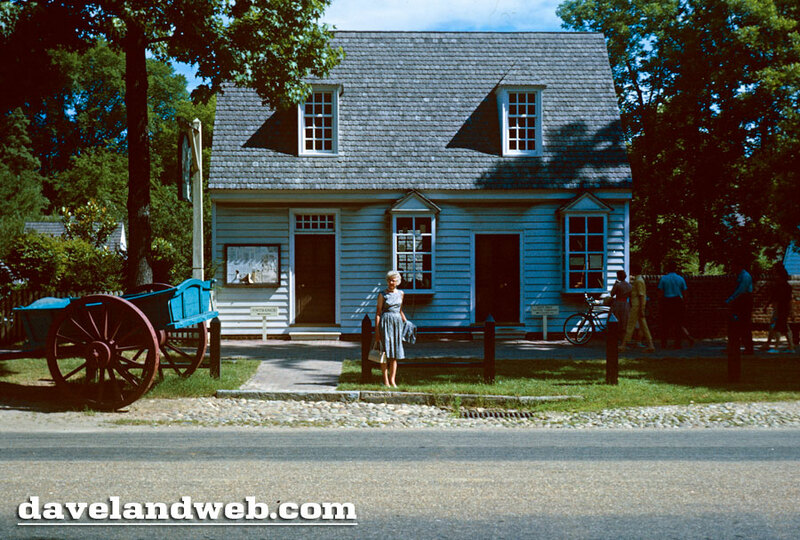 Flashing forward to the 1960's, today's Williamsburg images are from July 1963. 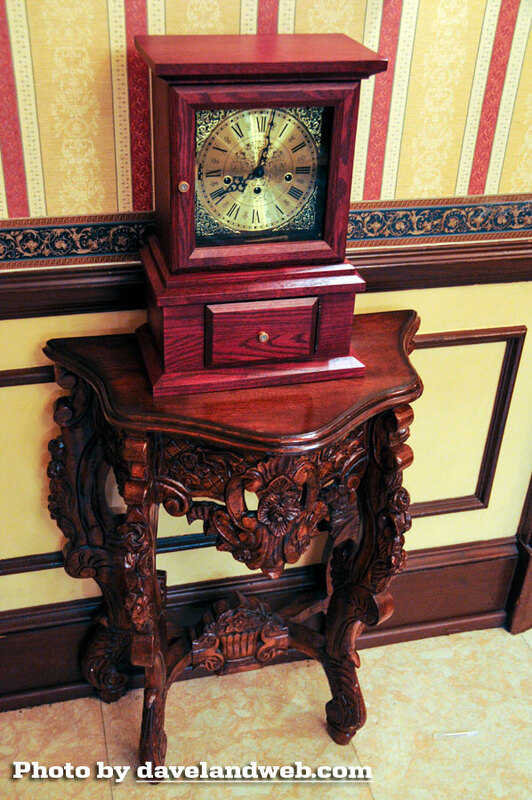 It appears that our photographer might have been staying at the Williamsburg Inn. Built in 1937 by John D. Rockefeller Jr., its purpose was to provide the region with a world-class, European-style hotel that provided "only the finest" for its guests. 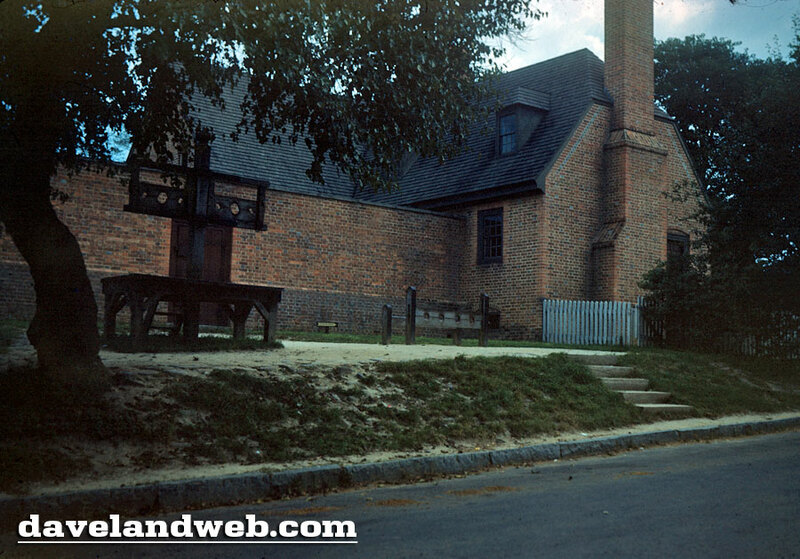 Another option is the Williamsburg Lodge, opened by Colonial Williamsburg in 1939 to provide comfortable accommodations for travelers to the Historic Area. As the sign states, "Rooms and meals at moderate prices." By the looks of her stance, it seems this poor woman missed the last carriage back to the hotel. 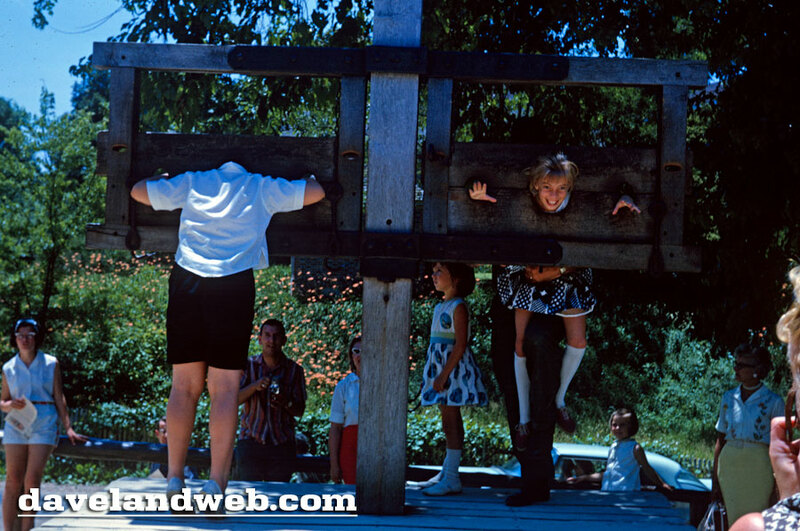 The stockade...not a good place to be "hanging around." Fun in 1963; not so fun in 1763. Happy Thanksgiving dear readers - I hope you have an abundance of blessings to be thankful for this year! Follow my Daveland updates on Twitter. 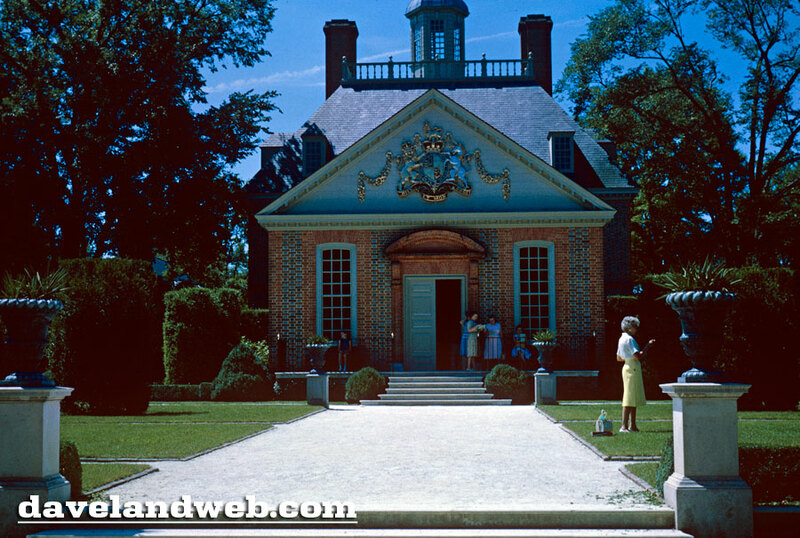 See more Williamsburg, Virginia photos on my Williamsburg web page. Where'd my coffee house go? 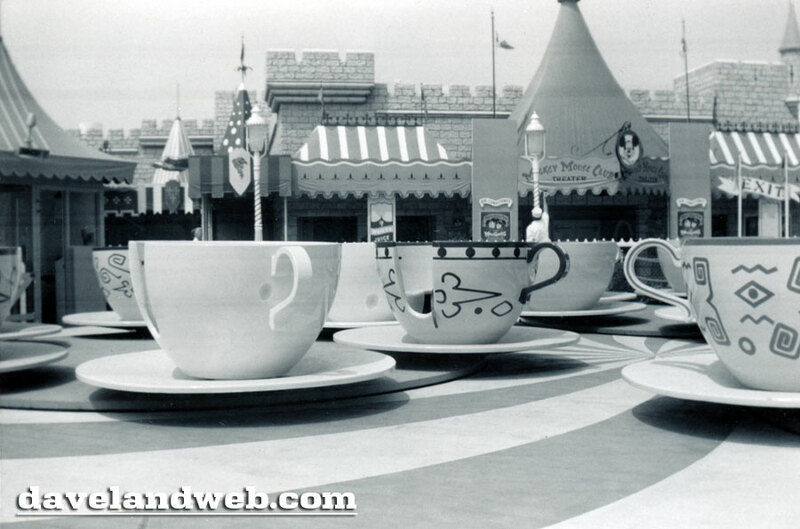 Back in May 1960, Disneyland actually had a location dedicated to everyone's favorite morning beverage: coffee! 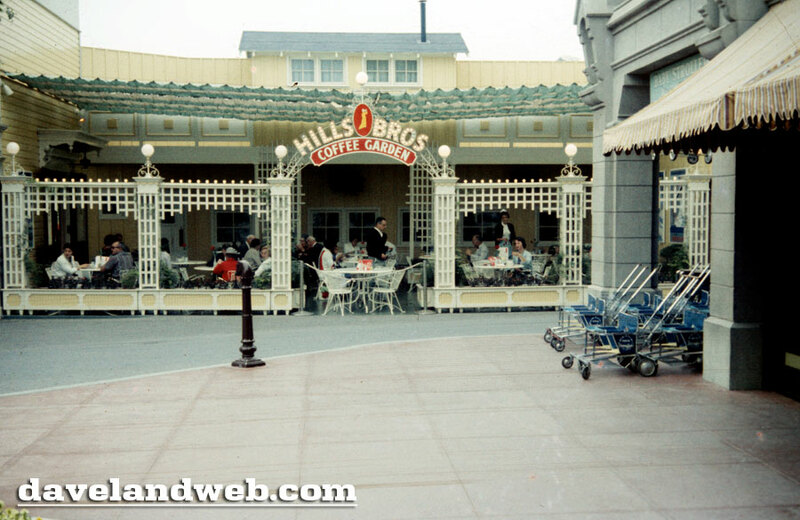 Despite the strollers on the right-hand side in front of the Baby Stroller Shop, this is a great image that shows how the space worked and just how popular it was for guests. Imagine a nice relaxing spot that adults could enjoy a little hot java! 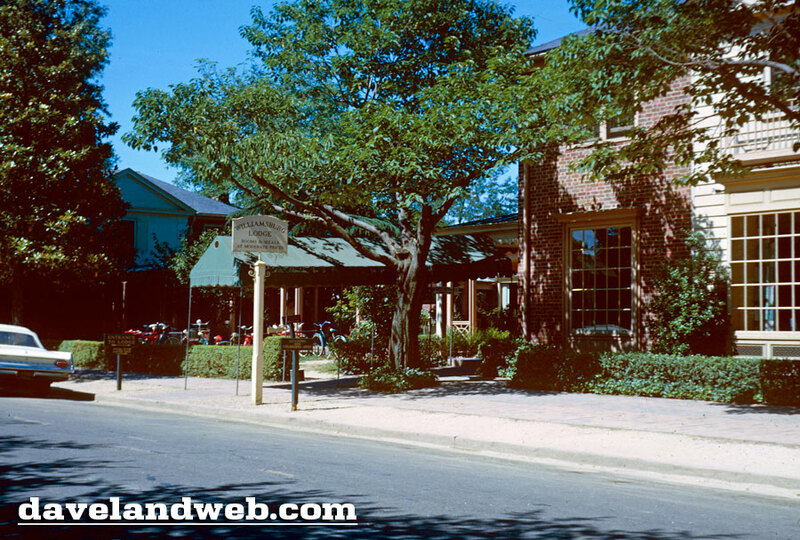 Previously the Maxwell House Coffee House Restaurant, this section of Town Square was The Hills Brothers Coffee Garden from 1958 until December 1976. Follow my Daveland updates on Twitter. 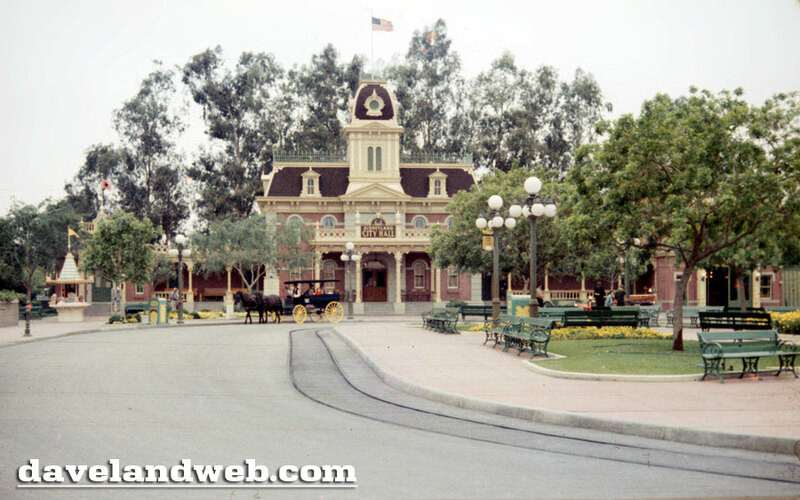 See more vintage Town Square photos on my Town Square web page. 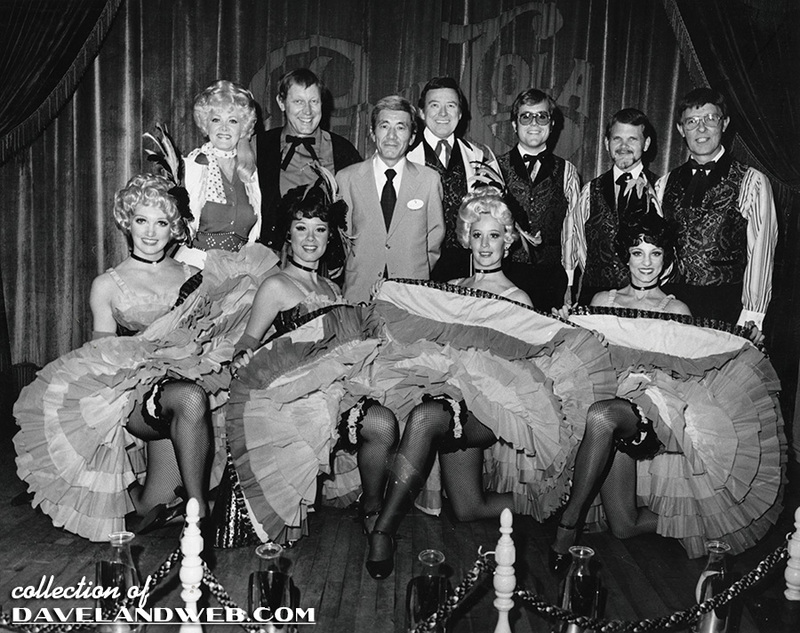 In this 1979 cast photo, I can identify Betty Taylor, Wally Boag, unidentified suit, Fulton Burley, Chris Stevens (drummer), Dale Olsen (trumpeter), and Vince Rossi (piano). In the front row I can only identify the first Can-Can Girl, Arlene Nelson-Dragon. Anyone else care to take a stab on the remaining cast members? Follow my Daveland updates on Twitter. 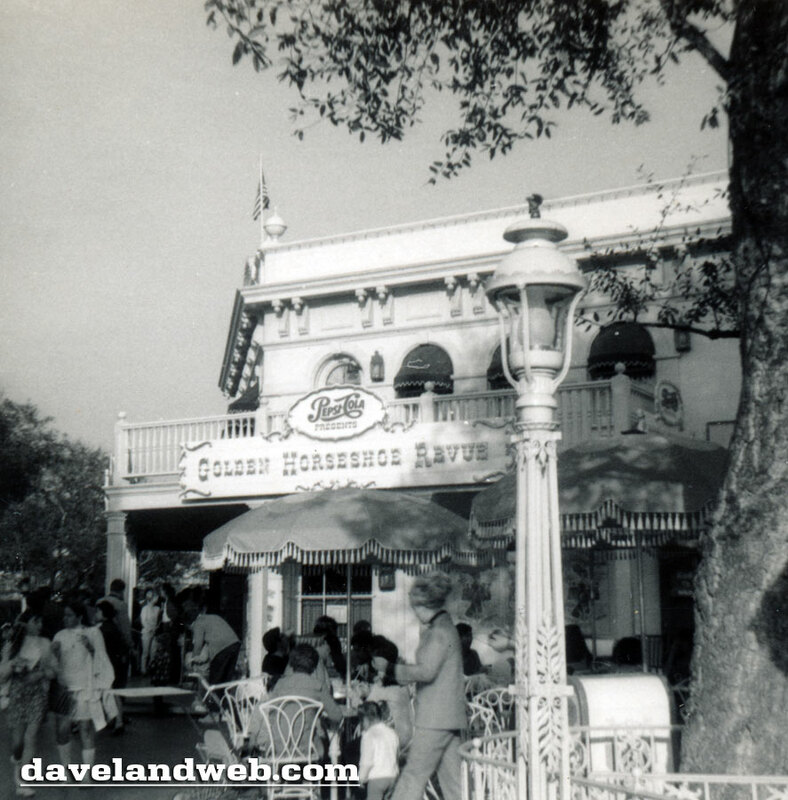 See more vintage & current Golden Horseshoe photos on my Golden Horseshoe web page. 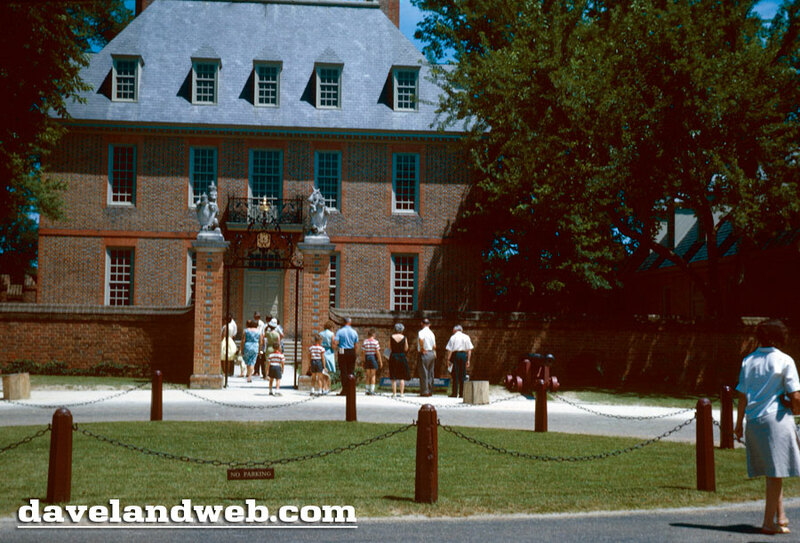 Park visitors who see this first photo from 1955 will recognize this structure but might be challenged to recall where they saw it. 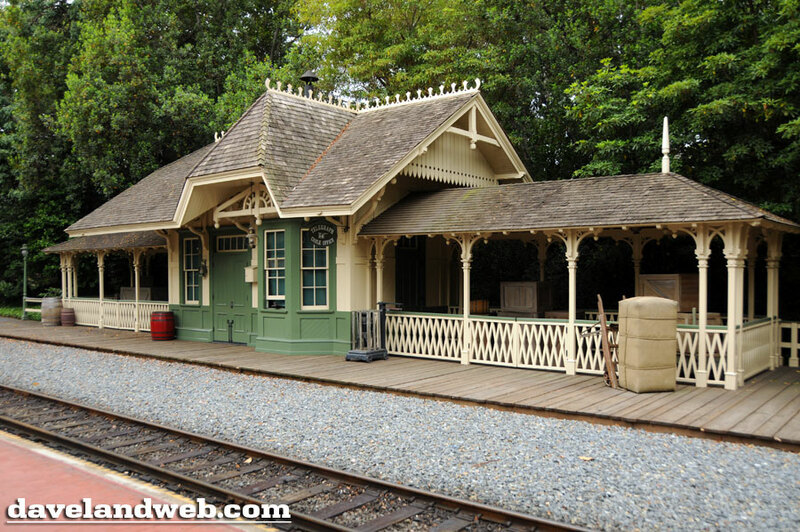 Guests who wanted to board the train in Frontierland would go to this quaint little depot, patterned after the one in the Disney movie "So Dear To My Heart." 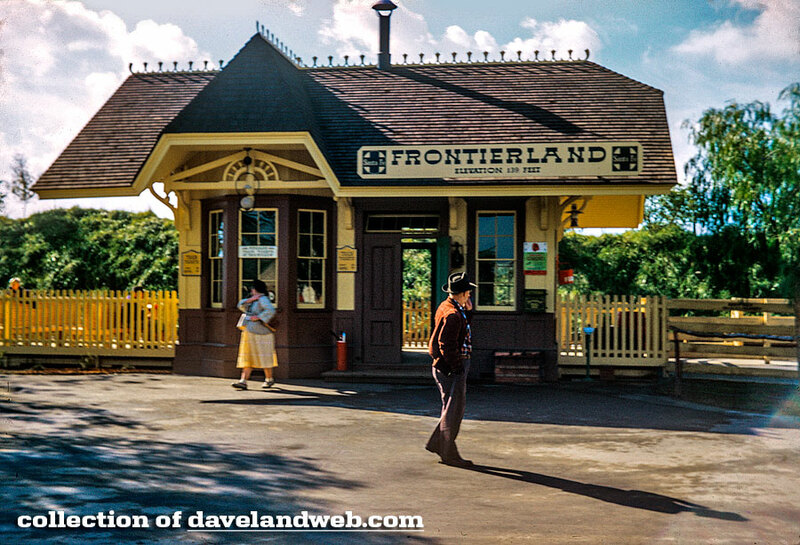 Today, the Frontierland Depot has morphed into the Frontierland/New Orleans Square Station. If you look at this May 1960 photo, you might think that I scanned it backwards, as the structure on the right hand side of the photo (the same one that you see in the 1955 photo) appears to be on the wrong side of the tracks. 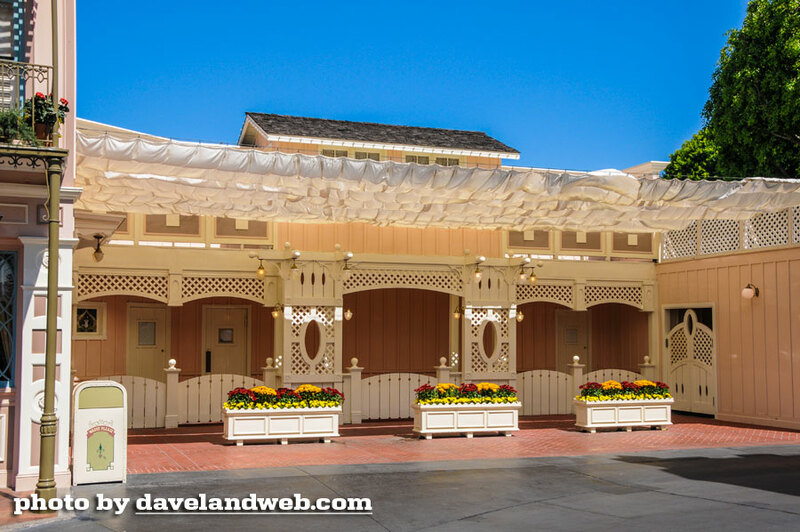 Originally, this gingerbread trimmed depot WAS on the other side of the tracks, until the New Orleans Square expansion caused Disney planners to revise the park layout and make this building inaccessible to park guests. 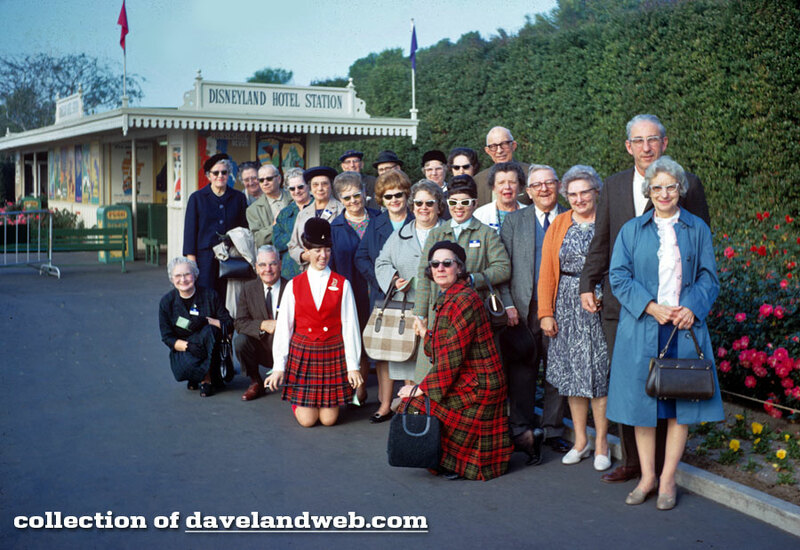 Here you can see the conductors in July 1960 waiting for another train to continue its Grand Circle Tour. 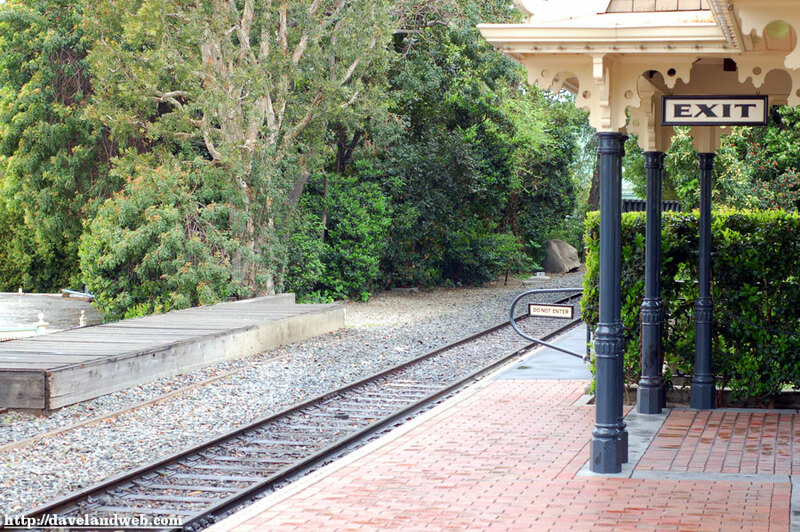 Today, the depot is still well maintained, but unfortunately, guests can no longer enter it and admire its architecture up close. 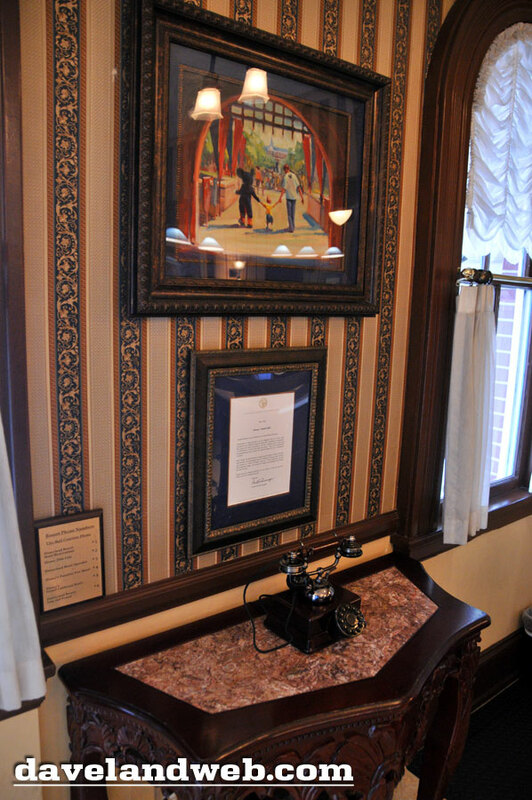 The Main Street Station is the only stop that has an interior waiting room. Follow my Daveland updates on Twitter. 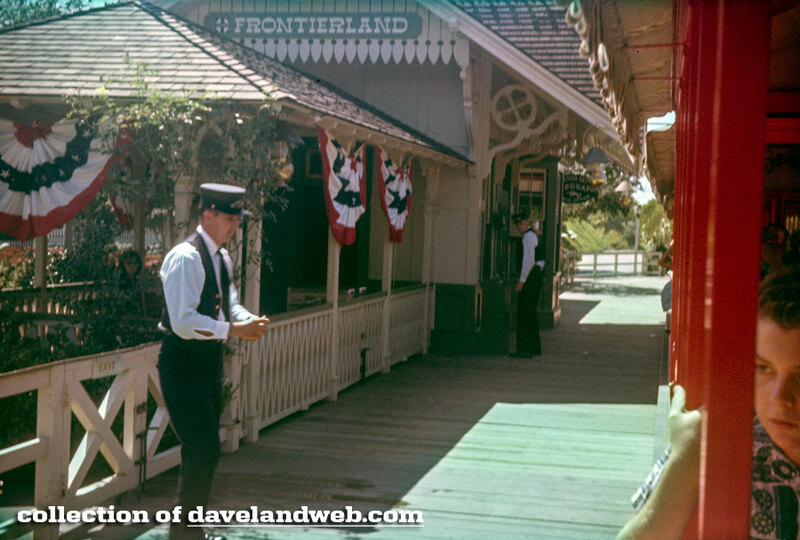 See more vintage & current Disneyland Railroad photos on my Disneyland Railroad Frontierland Station web page. 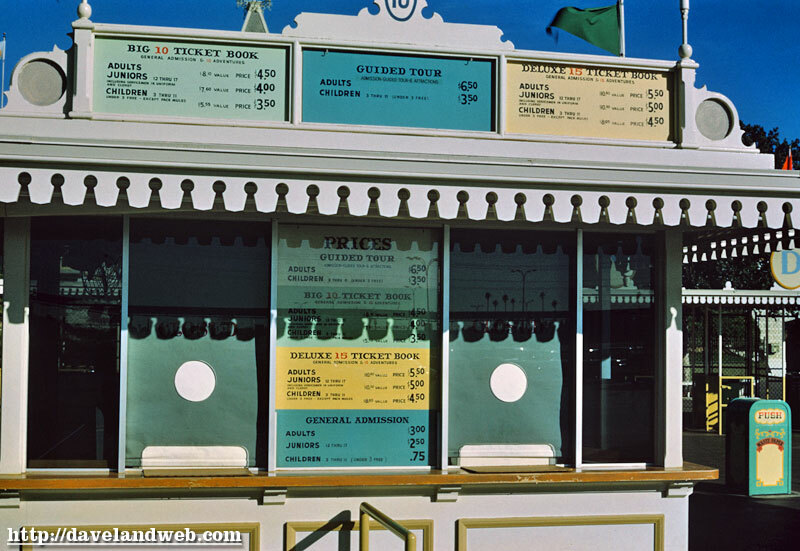 Flash forward 8 years later to January 1968, and just look at how the prices have SKYROCKETED! 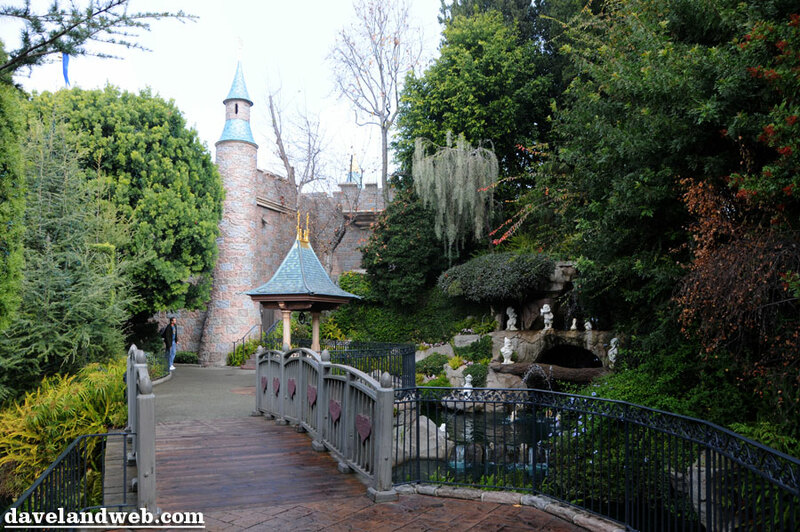 Can you believe a personal guided tour through Disneyland has gone up $2.50? Who in their right mind would pay a total of $6.50 for a guided tour of Disneyland. Just shocking. Absolutely shocking. I'll just bet this group of rabble-rousers were protesting the prices and getting ready to take this poor Tour Guide as a hostage! Follow my Daveland updates on Twitter. 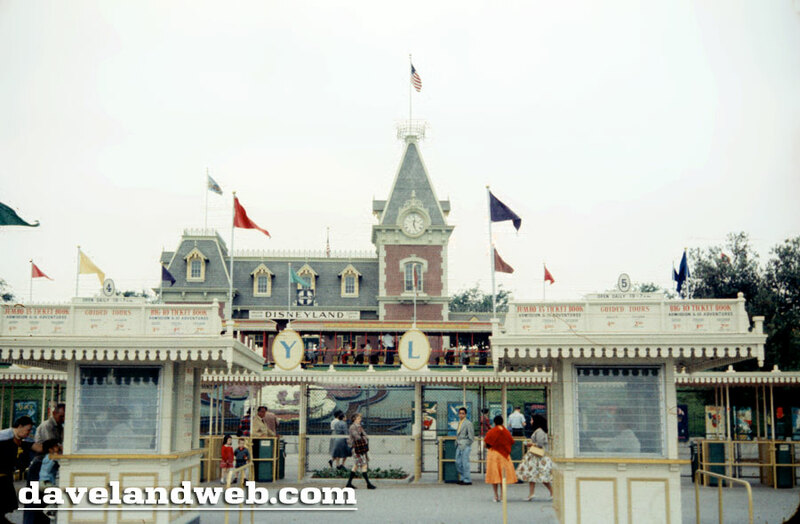 See more vintage & current Disneyland entrance photos on my Disneyland entrance web page. Sundays in Paris: Holiday Celebration!